These two memoirs by Elaine Bertolotti create a picture of a how Italy and Italian culture had a hand in shaping the life and character of an American woman who was lucky enough to spend five five years in Florence, and, later, her married life just outside of Turin. 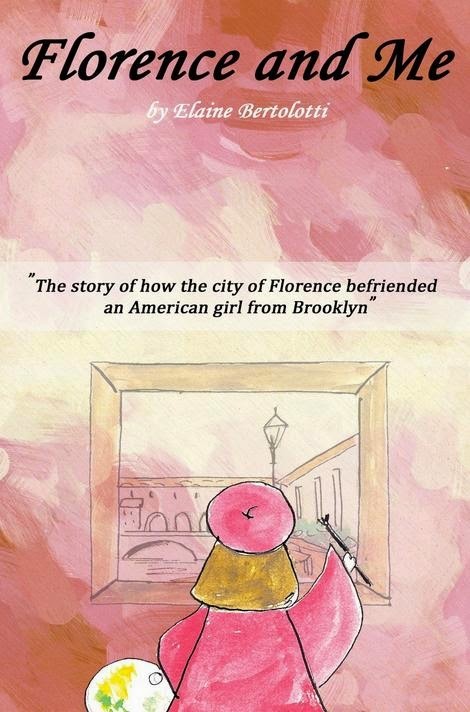 The subtitle of the 64-page memoirs Florence and Me is The story of how the city of Florence befriended an American girl from Brooklyn. The subtitle of the 60-page memoirs Turin and Me is The story of how a girl from Brooklyn ended up in the province of Turin. Both books boast lovely watercolor images created by the author who is also an artist. The best bargain on these books is probably if you subscribe to Kindle Unlimited at Amazon. I received them as review-copies. The author's prose is conversational and coveys her exuberant personality. She comes across as a positive, happy, enthusiastic extravert. She is also impatient, impulsive and very confident. When the author writes of her life in a village on the outskirts of Turin her voice becomes less excited and striving, and more content and joyous. Her life in Italy has been good, and she recognizes the blessings she has enjoyed there. Florence and Me is dedicated "To everyone who loves Florence". The author certainly loves the city, and she loved her time living there for five years beginning in 1971. Ah, Firenze, the good old days when I was a young girl, thoroughly innamorata (in love) with one of Italy's most beautiful cities! The excitement of every day being a new experience was intoxicating for the young version of the author. Anyone who has lived abroad for any length of time will recognize the exhilaration that the author describes, mainly through adapted excerpts from her lengthy letters written to her parents back in the States. The tense variations in the text often show which passages were taken directly from the youthful letters and which where added recently, with hindsight, by the mature author. ...the laughter and joy of living each new day as a surprise. ...brought along with it fresh new outlooks on the ordinary day-to-day experiences. I especially enjoyed the author's very realistic portrayal of her learning Italian. Language learning, even when it is learned where it is spoken, progresses in phases. The author describes those phases perfectly. The chapters are divided by subject: language learning, her apartment, the family back home, studying art... This only child had a very supportive family back home, but they were also the main reason she eventually returned to the States. But the pull of Italy was too strong, and the author ended up returning to Italy, eventually to marry and rear her children. But for those five years in the '70s the author and her American roommate lived a charmed life in Florence. Florence never let us down, she befriended us and let us make our home there so we could create treasured memories. The 1970s don't sound so long ago, but they were a very different era than the '80s and beyond in Italy. So many changes occurred in the 1980s in Italy that many Italian writers have been focusing recently on those days before the monumental changes occurred. A handful of TV channels, moderate tourism, an innocence about foreign cultures, low divorce and lots of pampered children made for a different Italy than one finds today. Today is the era that predominates in Turin and Me. 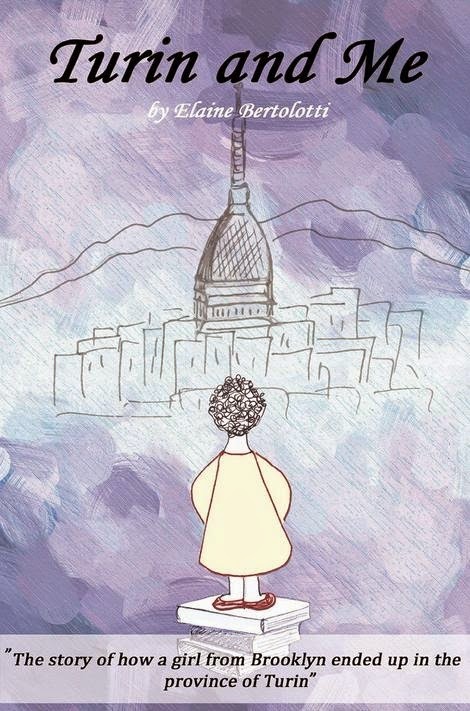 We learn a bit about the author's shock when she discovers that after learning Italian she is unable to understand the locals in her new hometown just outside Turin. The locals speak a dialect. Actually, outside of Tuscany, which is home to the "Italian" that was chosen as the national language, a lot of Italians speak dialects, which comes as a shock to many people. The story of how the author met her husband-to-be comes late in the memoirs, and it would have been fun to read a bit more about that than was provided. The early parts of the memoirs relate to her life and to Turin and the surrounding Piedmont region. We get a good idea of what daily life in Italy today is like, when living in a small town near a major city: shopping, free-time, cooking, gardening, eating out... The author has enjoyed living abroad. There is great satisfaction when you live in another country. It's like starting in all over again. The author loves her life, and she succeeds in conveying her enthusiasm and love of her adopted hometowns of Turin and her village. She is still spontaneous and impatient like when she lived in Florence, and her curiosity, energy and adventurous spirit have survived the years intact, but there is a definite contentedness in the later writing. I fell in love with Florence and now I have a nice warm and friendly feeling about Turin. 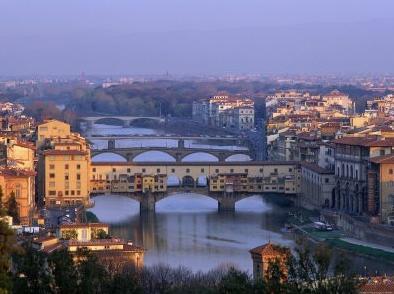 How an American girl lived in the fantastic city of Florence, Italy! A true story of how Elaine lived a most extraordinary lifestyle, learning the Italian language, meeting interesting people while teaching English, and exploring the most beautiful city in Italy. Many incidents were laughable and often embarrassing, as she attempted to become an adopted “Fiorentina”. However, these unforgettable experiences rewarded her with a profound sense of accomplishment. Her grandparents, born in Italy, would have been proud of her!!! 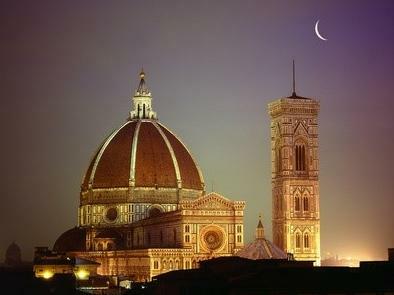 The atmosphere in her beautiful Florence was such that she felt completely invincible. Her stay there was in the middle ‘70s and the city today has undoubtedly changed, but she likes to think of herself as one of the pioneers who paved the road for the hundreds of Americans who are choosing to live there even now. “I am a proud Italian American, born and raised in Brooklyn, New York who never would forget her native country and all her beauties. I feel that it was definitely destiny that took my hand and led me to Italy. My heart is in love with my both countries. I’m a lucky girl! !” – Elaine. A personal memoir of an American girl living in the province of Italy. After having spent 5 years living in Florence, Italy, I returned for 2 years in the States before I finally came back to my Italia. The man who was to be my husband, was from the province of Turin, so that's where I ended up! I found that I had to deal with new experiences with the language and the traditions "alla Piemonese" in the small town that I was to live in. I discovered the city of Turin, a new Italian city to admire in all its beauty. Please visit the author on Pinterest and Facebook . She has other memoirs in the works. Visit her Amazon Author Page. Here is the link to the author's brief guide (lists of tips) for tourists visiting Italy. Elaine loves to share her adventures and misadventures in Italy in various formats, this time being a short farce-play about a couple in Rome and Florence, and their attempts to help their heartbroken daughter who is with them. At the end of the play, there are some sightseeing tips and Italian four recipes. She's an American ex-pat who lives in Italy with her Italian husband, so the recipes are authentic! Some laughs, some good tips, some good recipes. Visit her Amazon Author Page too see all her e-books.